Movies are a recurring event in the Chinese daily deal universe. From the moment Dataotuan started tracking deals they have always been one of the 3 biggest subcategories in the top deals overview. In January 2012 alone, movie deals accounted for 13.4% of the total deal revenue. The movie deals phenomenon seems also a typical China phenomenon, compared to the other countries Dataotuan tracks. The involved parties – consumers, deal sites and cinemas all play their roles in this phenomenon. It has gotten even the attention of the China Movie Bureau. Time to take a peek behind the curtains and find out what makes them so popular. If you want to read the full report on slideshare please go here. Before the Group-buying era, movie tickets were expensive for most consumers, who often turned to cheap (illegal) DVD’s as well as watching movies online. With the arrival of daily deals, movie tickets became available at a big discount with a guaranteed value. With many service deals there’s a chance merchants may lower the quality, try to up sell as happens a lot with beauty/hair salons, or in the case of restaurant deals even skimp on portions. With movie deals though, buyers know they will get the same service as the full price buyers. This guarantees the continuous enthusiasm of the movie deal buyers. Deal sites love movie deals for another reason. They bring in new users and are a great way to re-connect with their dormant users. Each movie ticket deal between Deal website and Cinema (Chain) or tickets website is structured differently. A deal site may keep some margin, charge some service fee or what happens very often work for free and very likely spend money to get and promote a movie deal. After all it’s good marketing. A sign that Movie deals may often be loss leaders is that many deal websites don’t pay kickbacks for referrals on these deals. In the past 2 years, big queues often occur at the cinemas, which was rarely seen before. No doubt that cinemas get bigger audiences because of group-buying. This has contributed to the growth of the total Box office results in China in 2010 & 2011, the 2 years since group-buying started and got popular in China. According to the PR director of Meituan, the Daily Deal market leader, just Meituan has contributed 1% to the total box office results in China in 2011. As in all the group-buying sectors, the competition in movie deals among deal sites is furious. 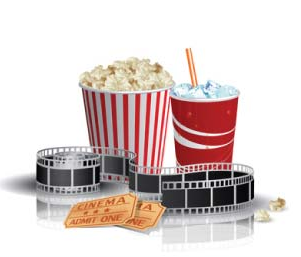 In Dataotuan’s special movie report, “Movie Daily Deals – The Differentiator” we look at how Movie ticket deals influence revenues and top deal website rankings. The latest news from the China Movie Bureau is that they may limit the discount and minimum price of movie tickets, which according to some netizens is an official way to support illegal DVDs. As a comment on Sina Financial Channel, “this approach will be something that pleases the movie producers, upsets the audiences and worries the cinemas and deals sites”. Luckily it is only a possible approach open for discussion at this stage. How it will evolve and what will be the consequences, Dataotuan will keep a close eye on it.